Noir Furniture is holding their social media photo contest, ‘Shine By Design’ again this fall after a successful outcome with the contest last fall. Beginning July 1, 2016, professional designers are encouraged to submit high-resolution lifestyle photos showcasing how their use of Noir product in their professional designs. The goal of this contest is to create fun customer engagement through social media channels as well as to show different ways in which Noir products have been used in installations. It is also an opportunity for Noir to help promote their different interior design customers and give them publicity via Noir’s social media channels. To enter the 2016 contest, contestants will be able to submit their photos via the “2016 Photo Contest” tab on Noir’s Facebook page or the can post their pictures to Instagram and/or Twitter using two hashtags, #NoirPhotoContest and #NoirShineByDesign. The contest will run for three months and ends Friday, September 30, 2016. 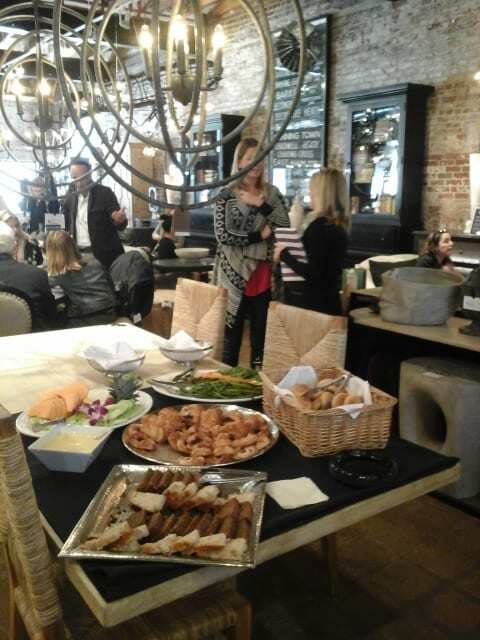 In honor of the participants, Noir will be hosting a brunch at their CFC Showroom at High Point during Fall Market. Located at 114 S. Elm St., all High Point attendees are welcome to attend the brunch and enjoy champagne, mimosas and a buffet. No RSVP is required. The three winners of the ‘Shine By Design’ contest will be publicly announced at this soiree. Last year’s ‘Shine By Design’ contest received over 450 photo submissions. All submitted photos are available to view on Noir’s Facebook page on the “Photo Contest” tab as well as in a printed look book, “The Many Looks of Noir”, which will be available at markets or by request. 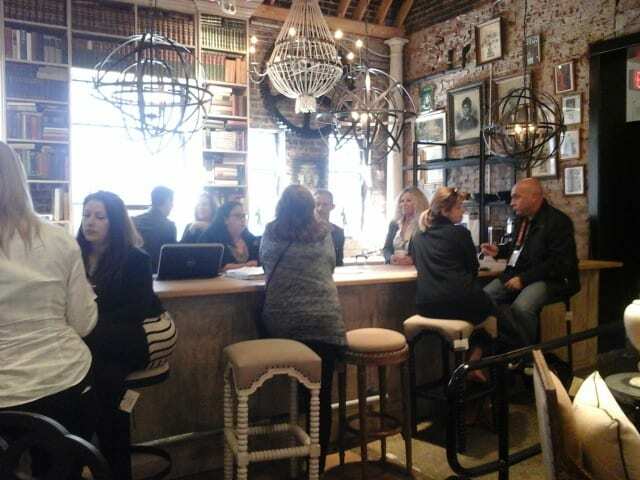 The brunch had a great turn out at Noir & CFC’s gorgeous showroom on Elm Street as attendees enjoyed a buffet of potatoes, grilled asparagus, quiches, fresh fruit, and mimosas while viewing over 100 new Noir and CFC. Many well-known designers that love using Noir in their projects attended as well! Colin Blanchard also joined us at party after giving designers great advice during IMC’s “A-Listers Talk Luxury and High Style of Design” panel. Make sure to participate in this year’s Shine By Design contest online. We look forward to seeing you at the celebratory Brunch during High Point Market! Winners were also featured in Noir’s ‘Many Looks of Noir’ look-book along with other selected submitted photos.